Auto Play Embedded Videos in Google Slides – I don’t think I need to explain this one. YouTube Red for Education – AdFree Youtube, duh! Create a real Groups platform – We need a robust Group Collaboration platform, think hybrid Sites & Groups. Or better yet, make Google+ more usable for group/enterprise collaboration with support for under 13 year olds and walled garden collaboration in school. And for a personal one: Please solve the email black hole when it comes to project and task management. Bring the power of the big blue Share button to gmail – Sharable Gmail Labels or a way to send Email to a Google Doc to be shared as an action item. Great list! I have been asking for Google Classroom to let me choose what calendar is used with their product. I already have a calendar for all of my classes and I do not need a calendar just for one class. Ad Block Plus extension is pretty great for blocking ads on youtube. How about text boxes in google docs. Yes you can use them in drawings that can be inserted in docs, but having a text box feature would be awesome. What does Good Instructional Leadership look like? It’s a question that has come up often in the past year. As a leadership team in our district we’re reading through Hacking Leadership by Joe Sanfelippo (#gocrickets) and Tony Sinanis, which has great practical ideas for education leaders. But what does that look like when applied to instruction? That’s a pretty powerful concept right there. Powerful in it’s simplicity and powerful in it’s focus on student learning. This got me thinking about what’s really important for learning and how do we make sure we’re focused on supporting that as instructional leaders. Every child will read at grade level by 3rd grade. Every 5th grader will make an impact in their community for the better. Every 8th grader will be part of a team that problem solves world challenges for a better future. Students will – Be present and engaged, ask tough questions, explore big ideas, have fun and change the world for the better. 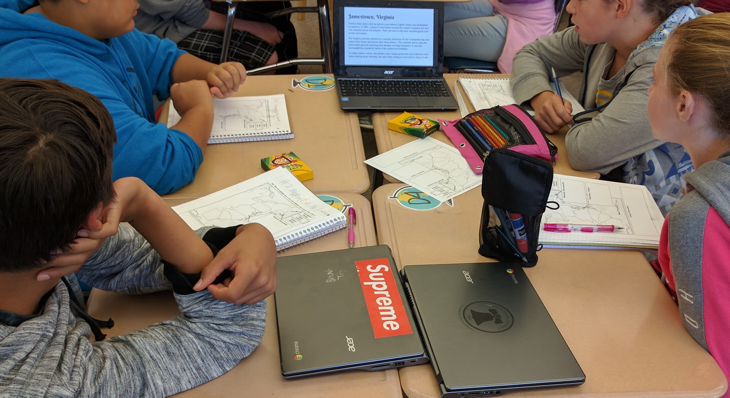 Teachers will – Create engaging learning experiences for all students, assessing early and often, using the data to provide individualized student support towards standards mastery. Principals will – Support teachers through reflection and guided questions that inspire teachers to move all students towards standards mastery. Staff will – Provide support, inspiration and guidance while removing obstacles to learning along the way. I guess for me, good instructional leadership looks like building/supporting/promoting/growing a community of dedicated educators, support staff and parents around doing what’s best for kids. So what would your definition of Good Instructional Leadership look like? It would look like a district in which the school board actively worked for everything you presented in this post. Boards are way too hands off.